Charming Mountain Retreat tucked away in the trees of the highly desirable Animal Hill area of Munds Park. 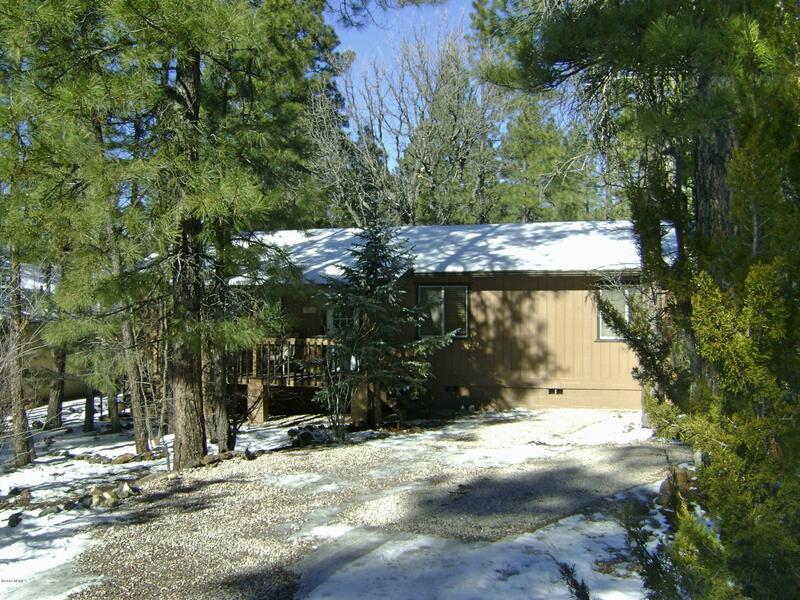 3 bedrooms and 2 baths, all situated on one main level. Master bedroom with walk in shower. Great room has open kitchen and a wood burning stove. T&G wood and barn wood accented walls throughout. Large deck affords plenty of room for outdoor entertaining. New roof, New paint, New Stainless Appliances, New Water heater, New laminate flooring, interior paint and new laminate flooring. New ceiling fans, new blinds, new vanities, toilets & faucets. New electrical fixtures & switches. Comes with a One Year Home Warranty.